When Ashker v. Governor was first filed as a class action in 2012, thousands of prisoners across the state of California languished in prolonged solitary confinement in Security Housing Units (SHU). At Pelican Bay State Prison alone, more than 500 prisoners had been held in the SHU for over 10 years, and 78 prisoners had been there for more than 20 years. They were warehoused in cramped, windowless concrete cells for almost 24 hours a day with no phone calls, infrequent visits through plexiglass preventing physical contact, meager rehabilitative opportunities, and no opportunity for normal social interaction with other prisoners. Their indefinite and prolonged confinement in this torturous isolation was based not on any actual misconduct but on vague and tenuous allegations of affiliation with a gang. Prisoners were routinely placed in prolonged solitary confinement for simply appearing on a list of gang members found in another prisoner’s cell, or possessing allegedly gangrelated artwork and tattoos. In 2015, the plaintiffs agreed to a far-reaching settlement that fundamentally alters all aspects of this cruel and unconstitutional regime. 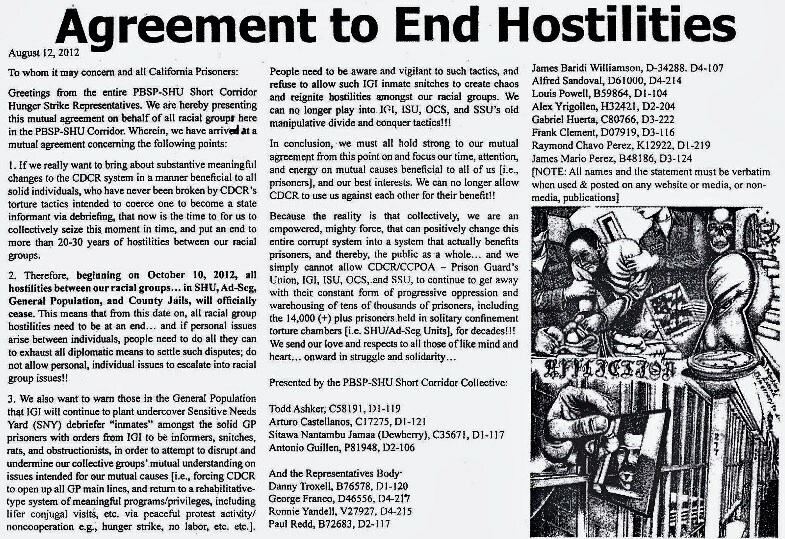 The agreement will dramatically reduce the current solitary confinement population and should have a lasting impact on the population going forward; end the practice of isolating prisoners who have not violated prison rules; cap the length of time a prisoner can spend in solitary confinement at Pelican Bay; and provide a restrictive but not isolating alternative for the minority of prisoners who continue to violate prison rules on behalf of a gang. 1. The settlement transforms California’s use of solitary confinement from a status-based system to a behavior-based system. Under California’s old regime, prisoners identified as gang affiliates were sent to SHU for an indefinite term based merely on their gang affiliation, regardless of whether they had ever violated a prison rule. The settlement transforms California’s use of solitary confinement from a status-based system to a behavior-based system: from now on, California will only send gang-validated prisoners to SHU if they are found guilty, at a hearing, of a serious “SHU-eligible” rule violation. These violations are now limited to the same violations that send non-gang-validated prisoners to the SHU: murder, violence against persons, threats to kill or assault, weapons possession, distribution of controlled substances, escape, disturbance, riot or strike, harassment, gang activity that leads to a serious rule violation, serious theft or destruction of property, extortion or bribery, certain sexual misconduct, and related attempts or conspiracy. 2. Validated gang affiliates who are found guilty of a SHU-eligible offense will enter a quicker two-year SHU step-down program for return to general population after serving their determinate SHU term. Prisoners validated as gang affiliates in California used to face indefinite SHU confinement, with a review for possible release to general population only once every six years. Even when such reviews occurred, a single piece of evidence of alleged continued gang affiliation led to another six years of solitary confinement. That evidence was often as problematic as the original evidence used to send them to SHU – for example, a book, a poem, or a tattoo that was deemed to be gang-related. As a result, California held more people in solitary confinement, for longer periods of time, than any other state in the country. 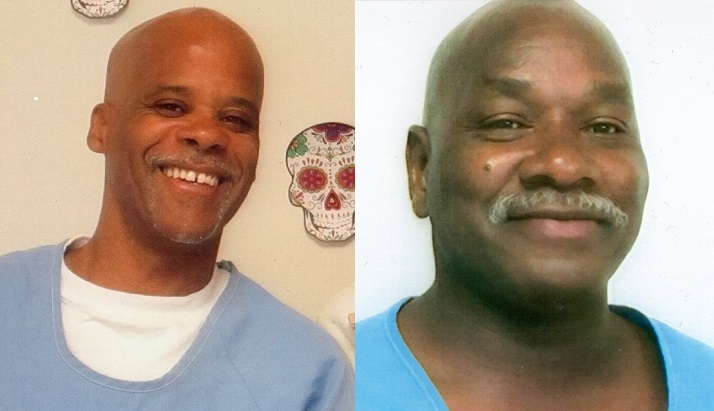 Under the settlement, California will no longer impose indeterminate SHU sentences. Instead, after serving a determinate sentence for a SHU-eligible offense, validated gang affiliates whose offense was proven to be related to gang activities will be transferred to a two-year, four-step program. Prisoners will definitely be released to a general population prison setting after two years unless they commit another SHU-eligible offense while in the step-down program. While conditions at the steps remain harsh, prisoners will be allowed some telephone calls and rehabilitative programming at each step. This new step-down program improves upon interim reforms unilaterally promulgated by the state after the Ashker complaint was filed. It cuts in half the time in the program from four to two years; provides increased phone calls, other privileges, and out-of-cell programming in the steps; and eliminates prisoners being kept in the SHU for either minor infractions or failure to engage in required behavioral programming. Under this settlement, those prisoners who have refused to participate in step-down programming, or who have been found guilty of numerous acts of misconduct that don’t rise to the level of a SHU-eligible offense, will be transferred to a new unit established as an alternative to solitary: a Restricted Custody General Population Unit (RCGP). In this unit, described below, they will have the opportunity to complete the step-down program in a high-security but non-solitary unit, and earn release into general population. 3. California will review all current gang-validated SHU prisoners within one year to determine whether they should be released from solitary under the settlement terms. It is estimated by CDCR that the vast majority of such prisoners will be released to general population. In addition, virtually all of those prisoners who have spent more than 10 years in solitary will be immediately released to a general-population setting, even if they have committed recent serious misconduct. The settlement requires speedy review of all prisoners currently held in a California SHU based on gang affiliation. With very limited exceptions, described below, those who have not been found guilty of a SHUeligible offense within the last two years will be immediately released to a general-population unit. Those with a recent SHU-eligible offense will be placed at the appropriate step of the step-down program, based on the date of the rule violation. It is currently estimated that only a small minority of those currently held in a SHU based on gang affiliation have a recent SHU-eligible offense, so that the overwhelming majority of prisoners should be released into general population under this settlement. In addition, California has implicitly recognized the harm to prisoners from very prolonged solitary confinement by agreeing that those prisoners who have already spent 10 or more continuous years in the SHU will generally be immediately released from the SHU and placed in the RCGP to complete the step-down program – even if they have been found guilty of, or are still serving a sentence for, a recent gang-related SHU offense. Nor will anyone be involuntarily held in the Pelican Bay SHU for longer than five years for any reason. 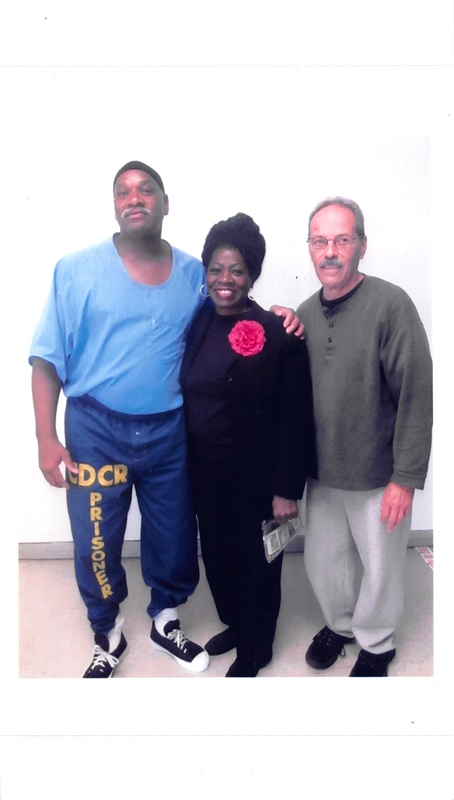 Even those prisoners who have been incarcerated in the SHU for more than 10 years and are currently serving a determinate SHU sentence for serious misconduct will be released to the RCGP to complete their SHU sentence and the step-down program unless California can show by a preponderance of the evidence that to do so would pose an unreasonable security risk. 4. California will create a new Restricted Custody General Population Unit (RCGP) as a secure alternative to solitary confinement. The RCGP is a general-population unit designed to facilitate positive and meaningful social interactions for prisoners about whom California has serious security concerns, such that they would otherwise be placed in solitary confinement. As such, it may serve as a model for jurisdictions seeking to do away with solitary confinement altogether, while still ensuring prison security. As part of a general-population unit, RCGP prisoners will be allowed to move around the unit without restraints, will be afforded as much out-of-cell time as other general-population prisoners, and will be able to receive contact visits. As a very high-security, restrictive-custody unit, its group activities will generally be in small groups, instead of large yards. For example, RCGP prisoners will have access to educational courses, a small-group recreation yard, small-group leisure activities and programming, some job opportunities and phone calls. Programming will be designed to provide increased opportunities for positive social interaction with both other prisoners and staff. Three categories of prisoners will be sent to the RCGP: first, those who repeatedly violate prison rules while in the step-down program or refuse to take part in step-down programming; second, those who have spent over 10 continuous years in some form of solitary confinement and have recently committed a SHU-eligible offense; and third, prisoners against whom there is a substantial threat to their personal safety that limits their ability to be released into other general-population units. 5. Very prolonged solitary confinement will be severely limited and those confined provided significantly more out-of-cell time. Because this settlement ends the prior practice of indeterminate SHU sentences for validated prisoners, generally prisoners will not be kept in the SHU for more than 10 continuous years, with a limited exception, called Administrative SHU. The settlement limits and ameliorates such prolonged solitary confinement by (a) setting up strict criteria for its use, (b) requiring increased out-of-cell time, and (c) providing for strong judicial review of its use. For example, where the Departmental Review Board has overwhelming evidence that a prisoner who has already served a SHU term presents an immediate threat such that he cannot be placed in general population, he can be kept in the SHU. Even in such instances, CDCR shall provide enhanced out-of-cell recreation and programming of a combined total of 20 hours per week, double the out-of-cell time of other SHU prisoners. During the agreement, CDCR’s decision is subject to review by Magistrate Judge Vadas, who is monitoring implementation of the settlement with plaintiffs’ counsel. The agreement states that CDCR’s expectation is that only a small number of prisoners will be retained in Administrative SHU. The Administrative SHU prisoners will have 180-day reviews in which staff will be required to identify efforts to move the prisoner to a less restrictive environment with the assumption being that these prisoners would be candidates to be moved to the RCGP. In addition, no prisoner may be held involuntarily at Pelican Bay SHU for more than 5 years. 6. Prisoner representatives will work with plaintiffs’ counsel and the magistrate judge to monitor implementation of the settlement. The struggle to reform California’s use of solitary confinement has always been a prisoner-led movement. Indeed, the settlement was negotiated with the active participation of the prisoner representatives, who met as a group several times with counsel via conference phone calls, and who ultimately decided as a group to ratify the agreement. Under this settlement, prisoner representatives will retain their hard-won seat at the table to regularly meet with California prison officials to review the progress of the settlement, discuss programming and step-down program improvements, and monitor prison conditions. Plaintiffs’ counsel will receive regular documentation of all administrative-SHU and step-down placements, progress, and SHU-eligible rule violations. Along with Magistrate Judge Vadas, plaintiffs’ counsel will monitor all aspects of the settlement implementation. Magistrate Judge Vadas will be empowered to review and remedy any individual or systemic violations of the agreement. In addition, the settlement continues the ability of the prisoner representatives from around the state to confer as a group in a conference call with counsel to discuss the implementation and monitoring of the agreement. The settlement also requires re-training of California correctional staff, and prohibits any retaliation for prisoners’ past and future involvement in the litigation or settlement monitoring. The monitoring process under the settlement will be in effect for 24 months, with the opportunity to seek additional 12-month extensions upon a showing of continuing constitutional violations. Today’s New York Times science section features a front-page piece about the research that CCR commissioned and compiled for our ground-breaking challenge to long-term solitary confinement. “Solitary Confinement: Punished for Life” introduces to the public the 10 expert reports we submitted to the court in Ashker v. Brown, the class-action lawsuit on behalf of prisoners in solitary in California’s Pelican Bay prison. Together, this research presents an unprecedented 360-degree look at the science behind how and why solitary confinement causes irreversible physical and mental harm. According to the expert reports, prisoners subjected to prolonged solitary experience a form of “social death” that is not cured upon release, but rather lingers as a “post-SHU syndrome” characterized by social withdrawal, isolation, and anxiety. One researcher said it was “shocking, frankly” that some prisoners endure decades of isolation. The Science Times piece is accompanied by a moving video of our clients. The reports also provide evidence that the profound impact of solitary is not just psychological; SHU prisoners experience unusually heightened levels of hypertension, placing them at risk for serious health consequences. The international and domestic experts agree that such prolonged isolation is not only unnecessary for prison security, but actually counter-productive, as well as a violation of international law. The expert reports – by leading scholars in psychology, neuroscience, medicine, prison classification, prison security, international law, and international corrections – are part of the discovery phase of our case. They are critical to our argument that prolonged solitary confinement violates the Constitution’s ban on cruel and unusual punishment. But the reports do more than support our case. 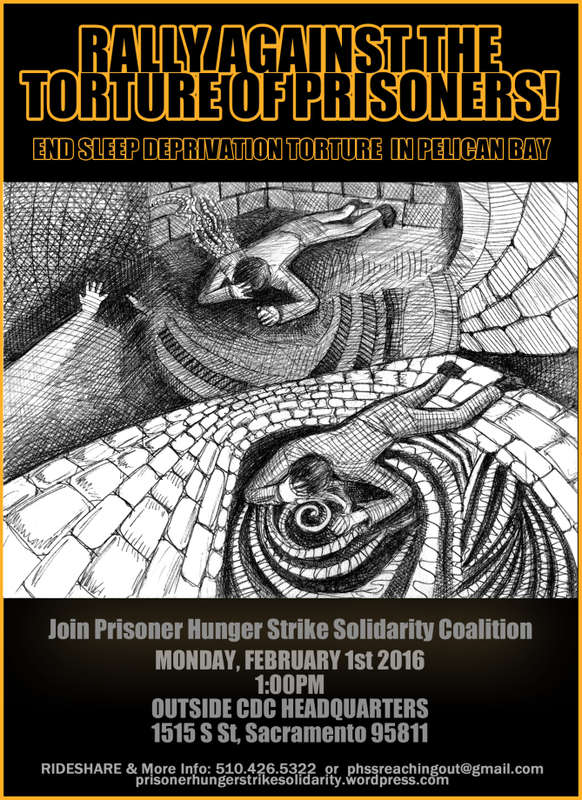 They help the growing national movement to end solitary. By bringing public scrutiny to the severe physical and psychological harm our clients and so many others are suffering as a result of their isolation, we hope to continue turning the tide against this form of torture until it is eradicated from the U.S. once and for all.